The Joyetech eGo AIO ECO packs a 650mAh battery, which is the largest I have seen from a device this small. Additionally, the ECO takes advantage of some mathematical wizardry that I wont burden you too much with just yet, but results in the device taking after its ECO namesake, sipping battery life while still providing a full and satisfying mouth-to-lung (MTL) hit. This all results in battery life that surpasses all other nicotine salt vapes I have tried so far. Charging the Joyetech eGo AIO ECO is done via micro USB, which charges the vape at 1 amp. It should generally fully charge the 650mah battery from dead to full in less than an hour, provided you are using a 1AMP wall block. This means that even if you run out of battery during the day, you can get back out and on the go in a very short amount of time. The tank is once again a case where the ECO makes good on its namesake. 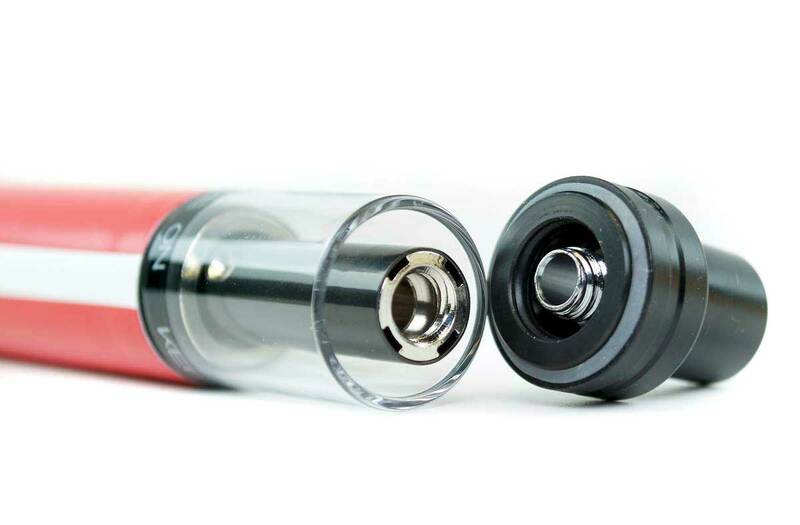 Unlike most nicotine salt vapes that use sealed, refillable, or even reusable plastic pods that eventually wear out and must be replaced, the Joyetech eGo AIO ECO uses a glass tank and plastic top cap with metal threading that can be used indefinitely. The ECO does use a replaceable coil that has a metal body, so it does falter slightly on its ECO design there. But since you are not replacing and entire pod but only a coil, your ongoing costs are going to be more ECOnomical (hey-oh!) than other nicotine salt vapes. Well in most cases, you would be right. 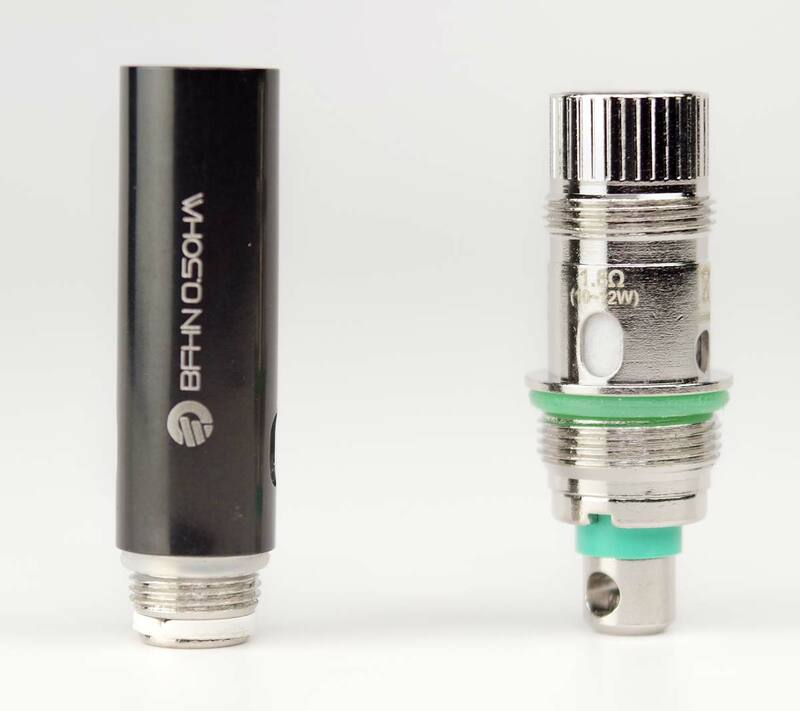 But whereas most nicotine salt vapes use 1.0-1.8 ohm coils, the ECO uses a 0.5 ohm coil. This more than compensates for the low firing voltage, producing a full, rich, flavorful MTL vape, all while only hitting 6.8watts and 3.7 amps. Since the Joyetech eGo AIO ECO fires at such a low voltage, they are able to regulate the voltage so that you get the same power output from full charge to the last puff before the battery dies. 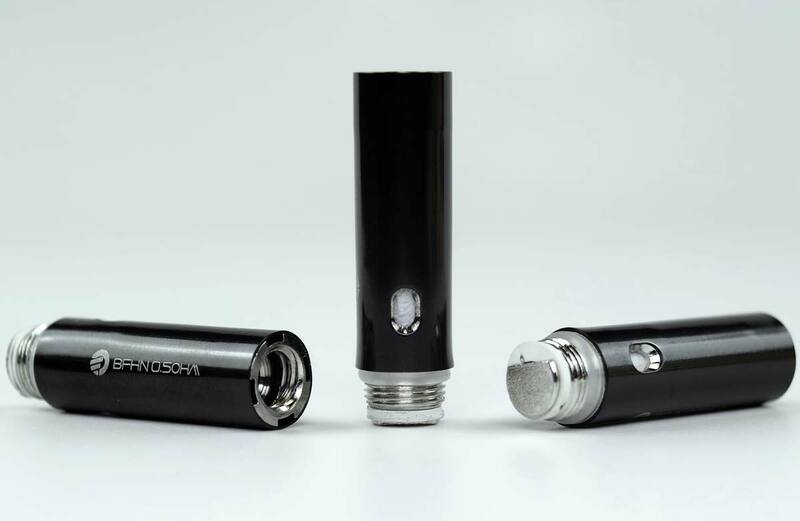 Almost any other vape relies on the nominal voltage of the battery, which means the power will decrease a little every time you take a puff until the battery is dead. Okay, tech talk over! Back to your regularly scheduled review. 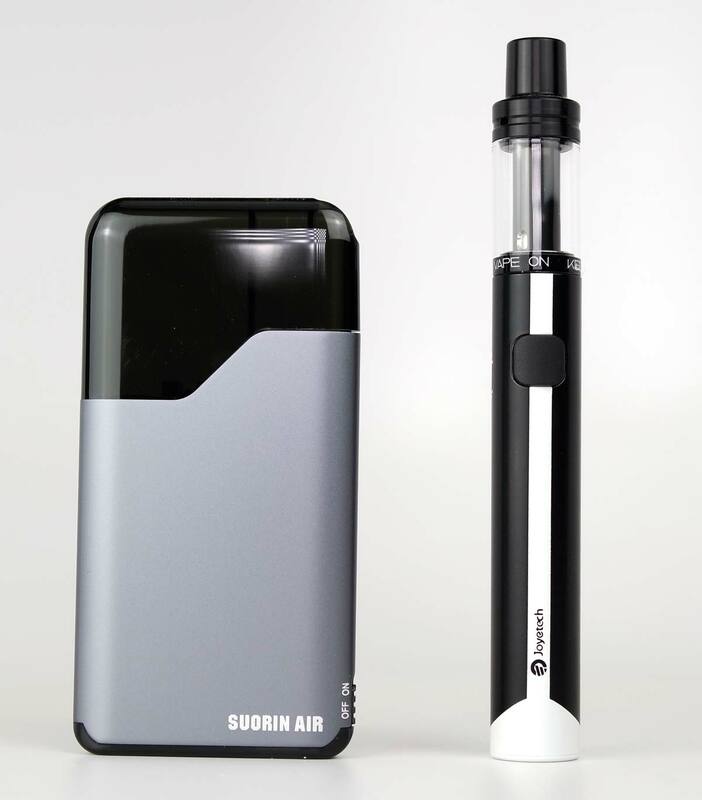 The ECO is light, but the Suorin Air (left) is truly a featherweight. 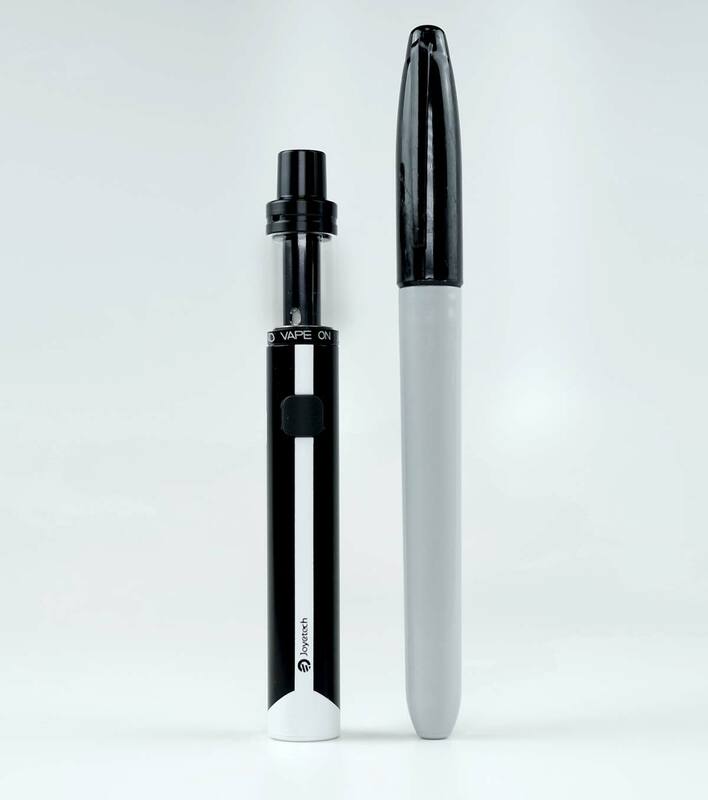 Like I have mentioned previously, the Joyetech eGO AIO ECO is roughly the same size as a Sharpie, coming in a little shorter at 113mm, and at 14mm, a touch wider than a sharpie. Weighing in at 37.52 grams is an impressive feat for a device that incorporates such heavy build materials, but it still falls short of the featherweight title. There's not a huge difference in airflow, but you can see how much larger the holes are in the cap on the left compared to the right. 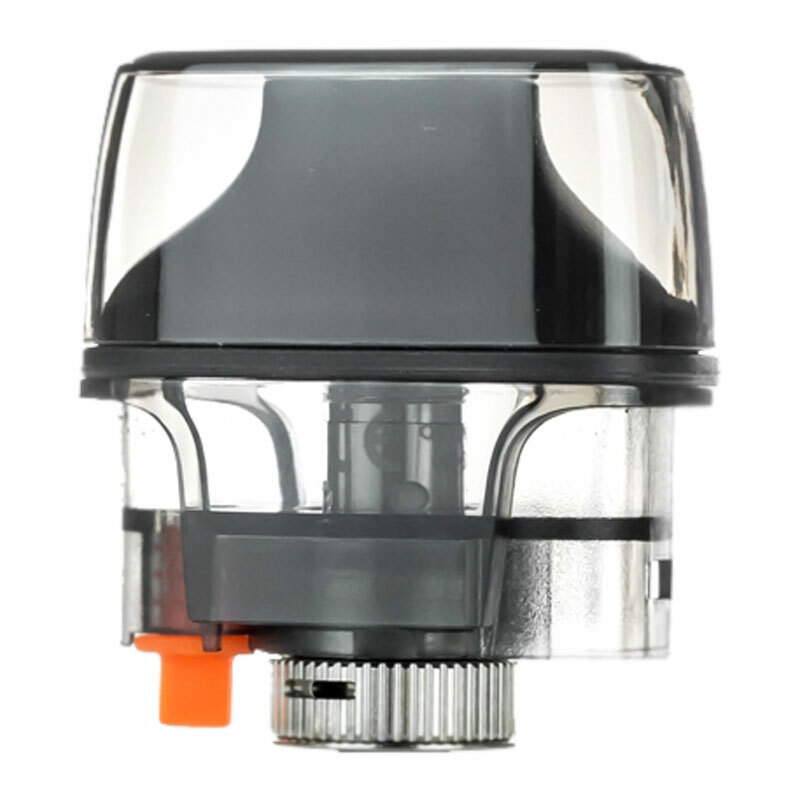 The Joyetech eGo AIO ECO is not adjustable in any capacity right out of the box, which on the one hand, means that there is less to go wrong, so it's much simpler for new users. On the other hand, the airflow might be a little too open for some people's MTL draw style. If this is the case for you, there is a replacement top cap (sold separately) that has smaller airflow holes, providing a tighter draw. 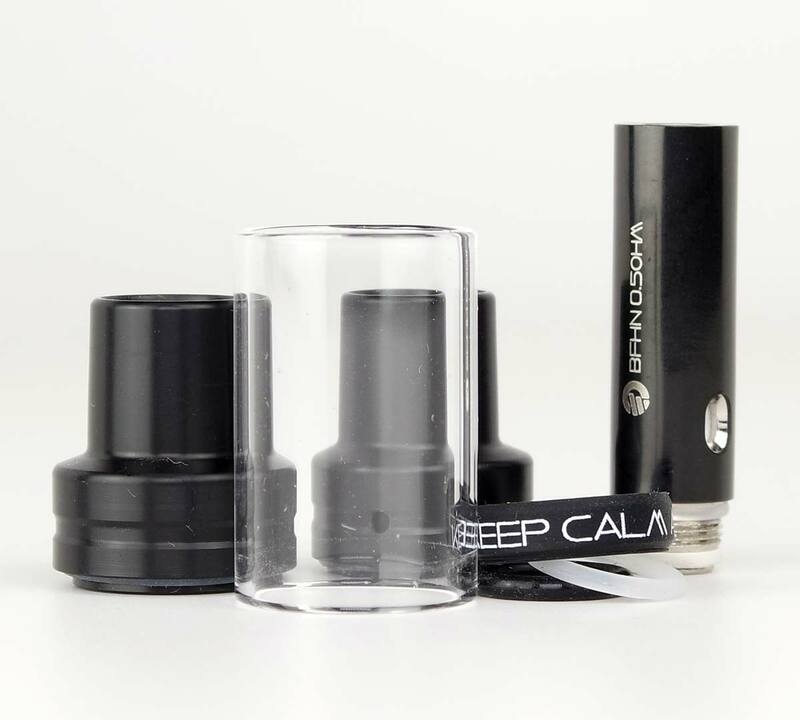 Both sizes of top caps, replacement glass, and o-ring sets are also available in case of any unfortunate mishaps. You can buy everything but the battery for the ECO separately. Fortunately, it's also pretty cheap to buy a new ECO kit! 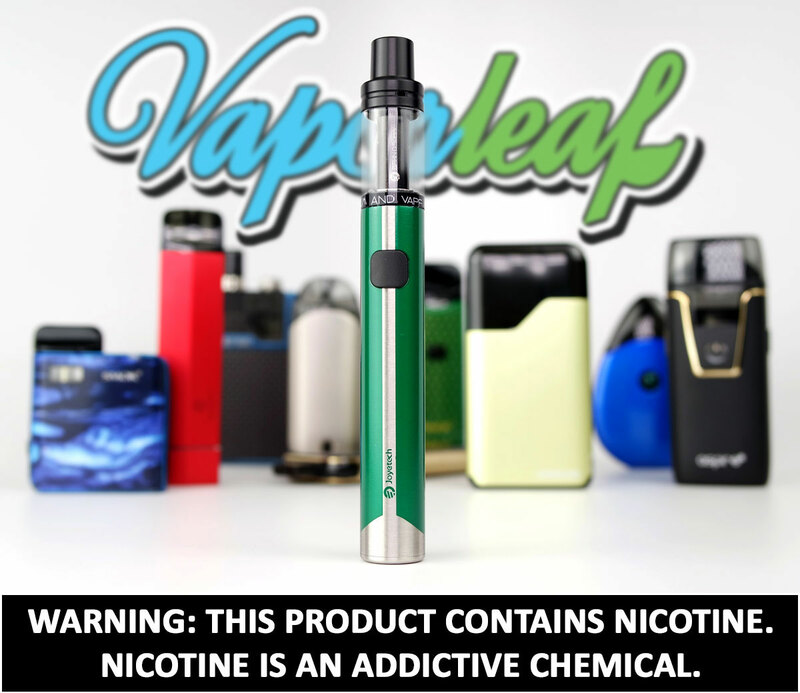 Even with as simple and straightforward as the Joyetech eGo AIO ECO is, it features a battery life indicator that is displayed through means of a color LED that illuminates the tank. 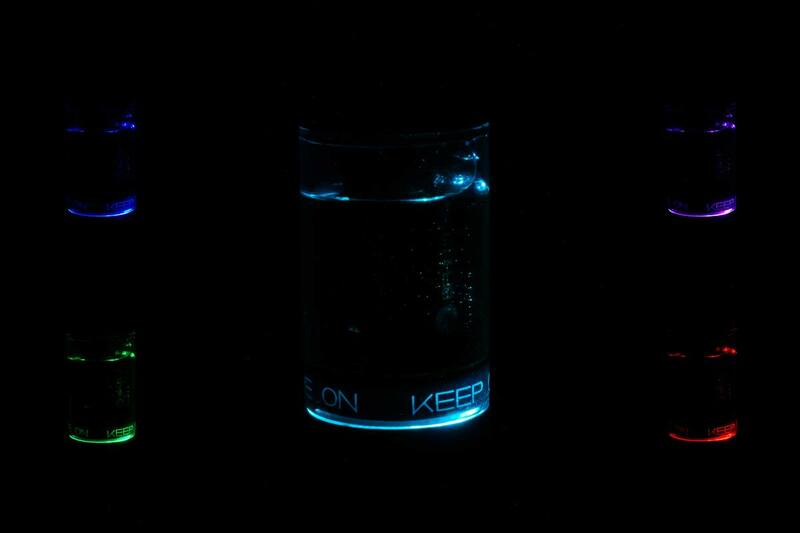 You can change the color of this light between Dark Blue, Green, Light Blue, Red, Purple, Lime Green, white, and off. We took these pictures in the dark so that the cameras could pick up the light more easily, but they're very easy to see in person. To change the color, while the Joyetech eGo AIO ECO is off, hold down the fire button until the LED illuminates. Once this happens, click the fire button to cycle through your color options. Once you find the color that you like, simply do nothing until the light goes out. If you want the light off, you will not get any indicator of when the device is off again, so just wait about six seconds. Once the device is off again, turn it back on with five quick clicks of the fire button and resume normal use with your newly selected color. This is how fast the light will flash when the battery is very low. When you take a puff off your Joyetech eGo AIO ECO, the tank will illuminate. Once you release the fire button, the light will go out. After a few seconds, the light will pop back on. If the light stays solid for about four seconds then goes out, that means that your remaining battery life is over 50%. If the light flashes four times, that means that the remaining battery life is under 50%. The four flashes will start out very slow, and get more and more rapid as the battery drains. 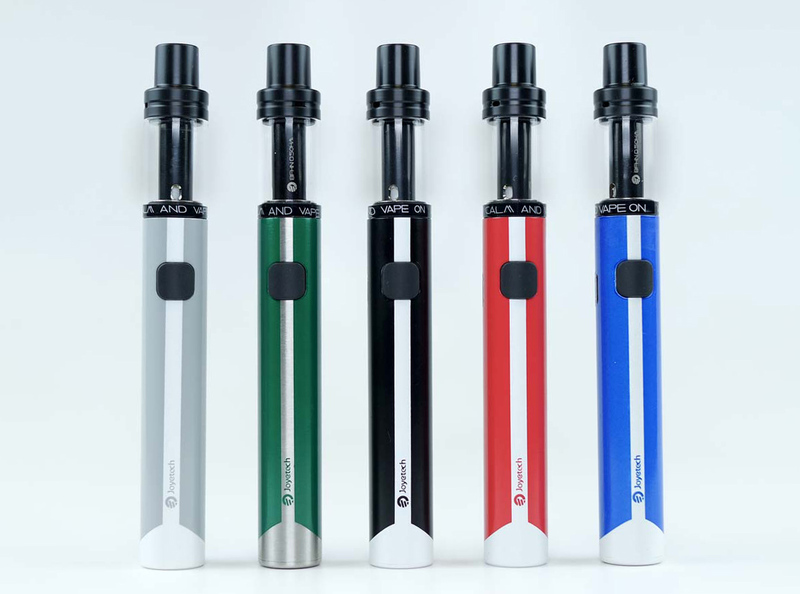 Regardless of what color you have selected, your Joyetech eGo AIO ECO will flash red fifteen times when it is completely discharged. Regardless of what color you choose, the light will flash red when the battery runs out. 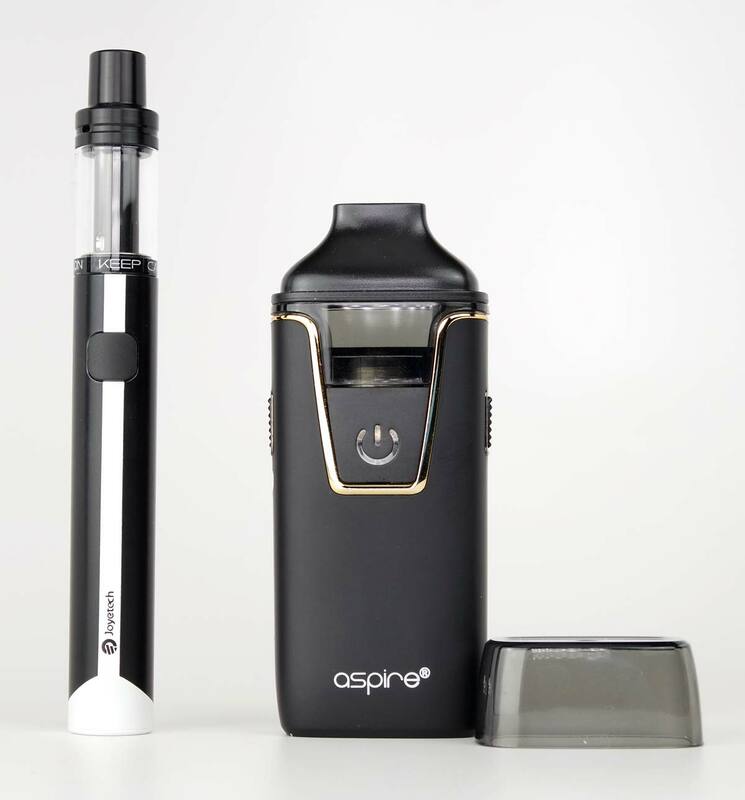 Because of all these unique features, it can be somewhat difficult to do a side-by-side comparison of the Joyetech eGo AIO ECO to most other nicotine salt vapes. So I will do a side by side comparison with what I feel is the closest direct competitor, the Nautilus AIO. The Nautilus AIO does almost double the Joyetech eGo AIO ECO battery capacity of 650mAh at 1000mAh, but since the ECO only fires at 1.85 volts and the Nautilus AIO fires between 4.3 volts to 4.7 volts, the ECO will actually out last the Nautilus AIO on a per charge bases. The ECO does fall to the Nautilus AIO when it comes to coils. Not only do you get three different coil options for the Nautilus AIO, but Nautilus coils are celebrated for their performance and longevity in comparison to other coils. Though to give credit where credit is due, the Flavor and vapor production that is produced by the ECO is every bit as full as the Nautilus AIO. The two coils are also very similar in overall size. When it comes to the tanks, they both have their up and downs. 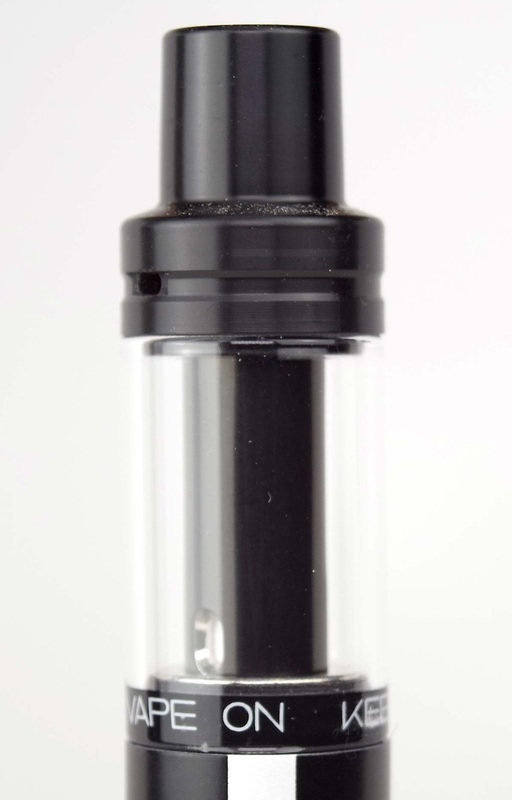 The Joyetech eGo AIO ECO has a somewhat small 1.2ml tank, where the Nautilus AIO has a massive 4.5ml tank. The Nautilus AIO pods can be somewhat tedious to fill, and they're not nearly as easy to see into. 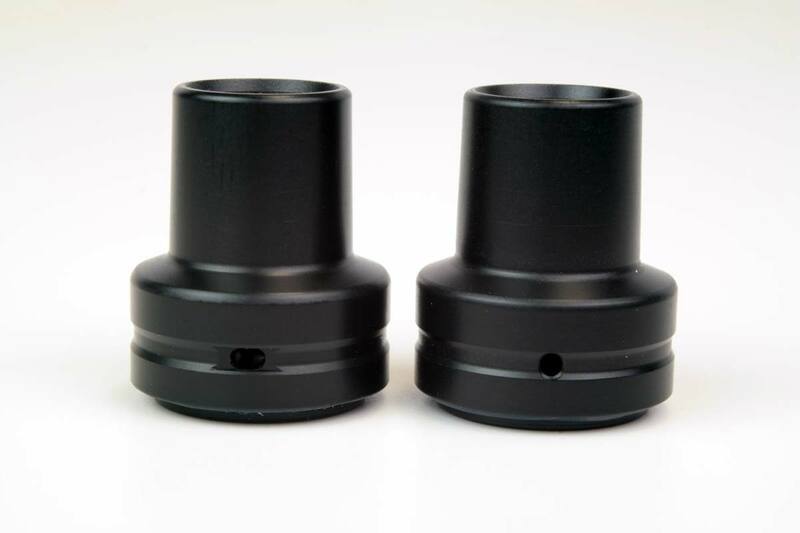 The Nautilus can be more prone to leaking than the ECO because of the bottom airflow design. The plastic pods of the Nautilus AIO wear out over time and need to be replaced, whereas the glass on the ECO will theoretically never need to be replaced. From there, things get pretty comparable. They both use fire buttons, they both use micro USB charge ports, and they are both quite small, although as I mentioned at the beginning of this article, the Joyetech eGo AIO ECO is really one of the only pen-style devices out there, whereas the Nautilus AIO takes on a more rectangular shape. If you are dead set on a vape pen, the obvious winner for you would be the Joyetech eGo AIO ECO. For the rest of the interested vapers who are open to a different shape, it's really going to come down to what features suit your needs the best. There are plenty of colors to choose from too! As you can see, the Joyetech eGO AIO ECO is more than capable of holding its own with the rest of the nicotine salt vapes already taking the industry by storm, and is well deserving of your attention for your next nicotine salt vape. As 2019 approaches, many people will be making the switch to vaping. With so many products on the market, it can be extremely difficult to find the right vape for you and even harder to find something that's beginner friendly. 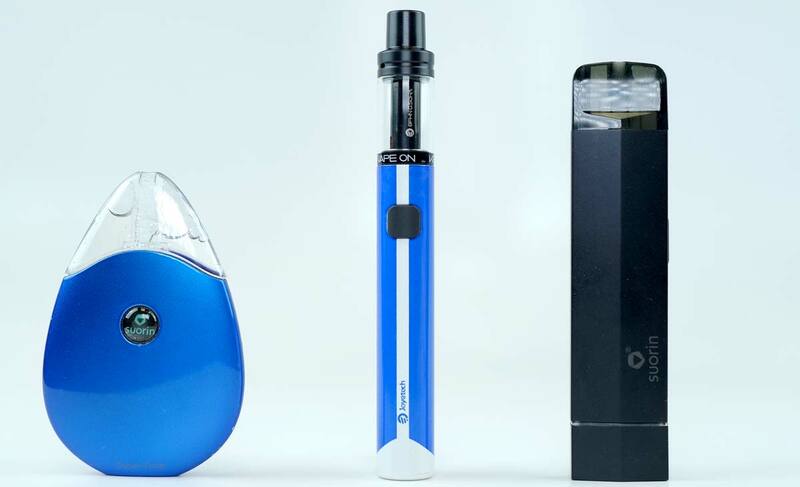 In order to make the change as smooth and successful as possible, we've put together a list of the best vape starter kits for 2019!